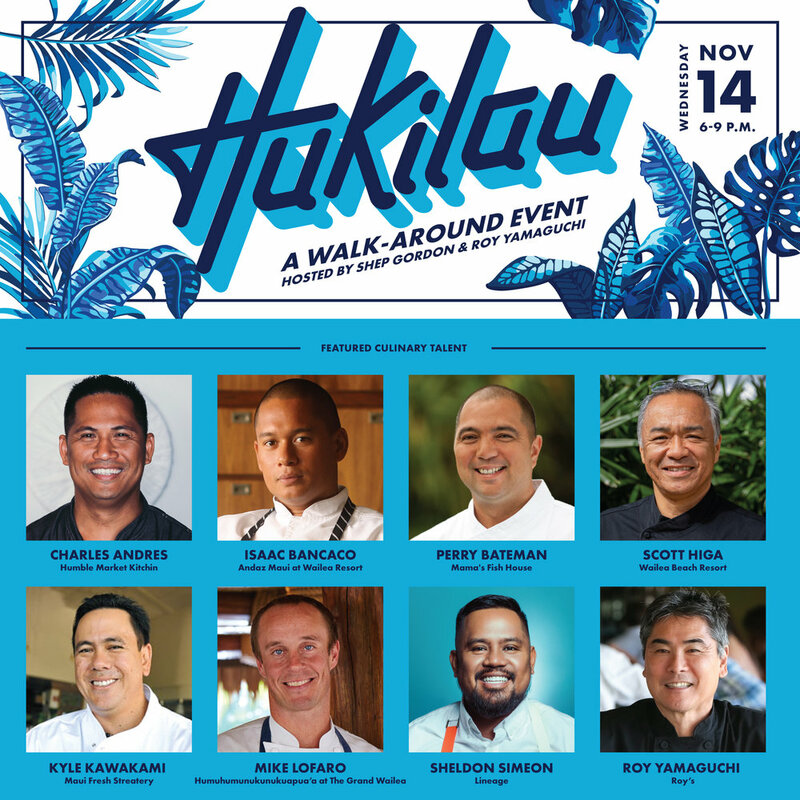 James Beard award-winning chef Roy Yamaguchi and Humble Market Kitchin’s executive chef Charles Andres are joined by Maui’s finest chefs presenting dishes inspired by the beachside “Hukilau”. Top Chef favorite Sheldon Simeon, founder of the pioneering new restaurant Lineage, leads our talented group. Kyle Kawakami, founder of Maui Fresh Eatery, melds Maui ingredients with world traditions. Mike Lofaro, executive chef at Humuhumunukunukuapua'a at the Grand Wailea, impress guests with his signature Modern Hawaii Seasonal cuisine. Isaac Bancaco, executive chef at Andaz Maui at Wailea Resort, celebrates his Hawaiian, Japanese, Chinese and Filipino heritage through his use of Maui-grown ingredients. Perry Bateman, executive chef of Mama’s Fish House brings diners the finest local seafood. Scott Higa, executive chef of Wailea Beach Resort - Marriott Maui, has prepared meals for heads of state. A portion of the proceeds from this event will benefit the Maui Arts and Cultural Center.